I think this is why guys go to college! Of course spring makes a guy want to "day dream"! 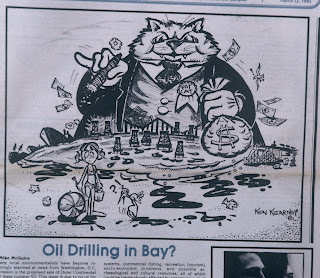 A political comment on the "fat cats" wanting to drill for oil in the Monterey Bay! 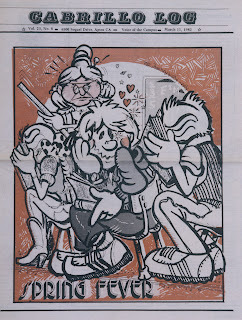 A movie poster spoof that appeared on the back of the newspaper. There was a real "med fly" invasion! 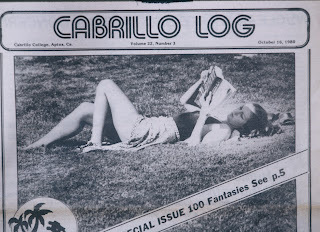 One of the many joys of going to Cabrillo College,CA was working on the school newspaper as photographer/illustrator. 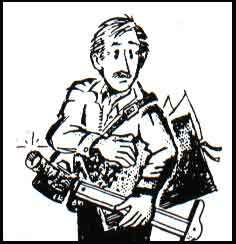 The teacher of the class was Dr. Bill Nolan...he just set us loose with creativity.